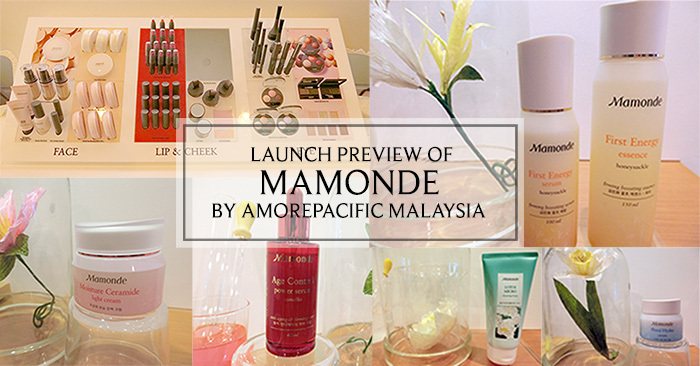 Last month, AmorePacific Malaysia had a launch preview and introduced a very interesting Korean brand - Mamonde. Mamonde (a French word for "My World") is a famous brand in Korean and it is well received by the users too. The products are fully imported from South Korea and will be available in Aeon Bandaru Utama in this coming August 2016. 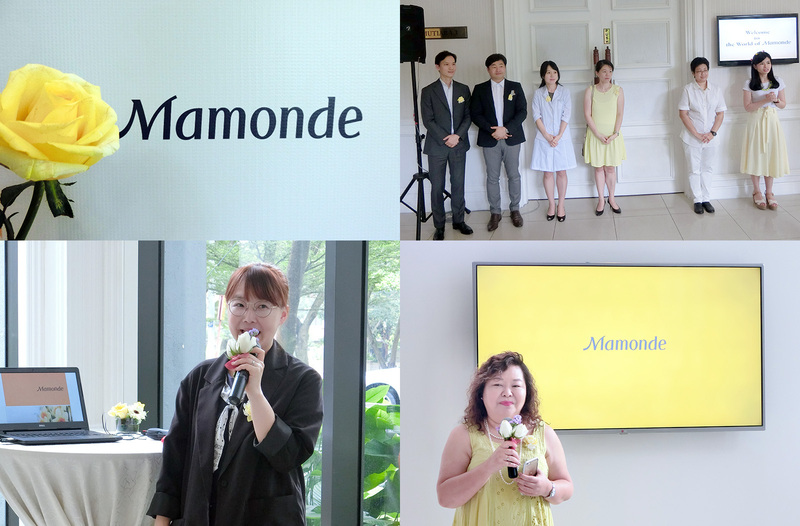 Margaret Chin, the General Manager of AmorePacofic Malaysia said, "Mamonde's skin care is the first of its kind in the cosmetics market as it uses only flowers as its key ingredient in the formulation for all its products." Mamonde is inspired by flowers, which are magical with their abilities to speak to the soul in a way which words cannot express. The blossoming flower, its colors and pleasant scent emits a natural inherent vitality and surging energy that lifts the mood and comforts the heart. Unlike the usual skin care routine, First Energy Essence and Serum should be used as the first-step in your skincare regime after cleanser. The essence (150ml) is a water type booster that gives a refreshing feel upon application to the oily skin while the serum (100ml) is an emulsion type booster that provides nourishing and soothing effect to dry skin. Both of them priced at RM 119 each and will be available at AEON Bandar Utama coming this August. Both of these have been upgraded with the antioxidant Lactobacillus that is extracted from the Honeysuckle flowers. The Lactobacillus is blended together with the 1-year-old fermented "Flower Vinegar" to enhance the anti-oxidation activities beneath the skin. It is awesome, because this natural ingredient helps to promote skin's immunity, leaving the skin less vulnerable and more resilient to external aggression. Coming up next, showing you the moisturizer creams and serum targeted for different types of skin types. These products have different floral scents and they do not leave a greasy feeling upon application too. Though there is this intense cream for dry skin, it does not feel greasy at all. All these creams leave a very dewy and moisturized feeling, giving a healthy look instead of an oily face look. The slanted design for the cover is very interesting. Here are some other products that will debut at One Utama Shopping Mall this coming August. 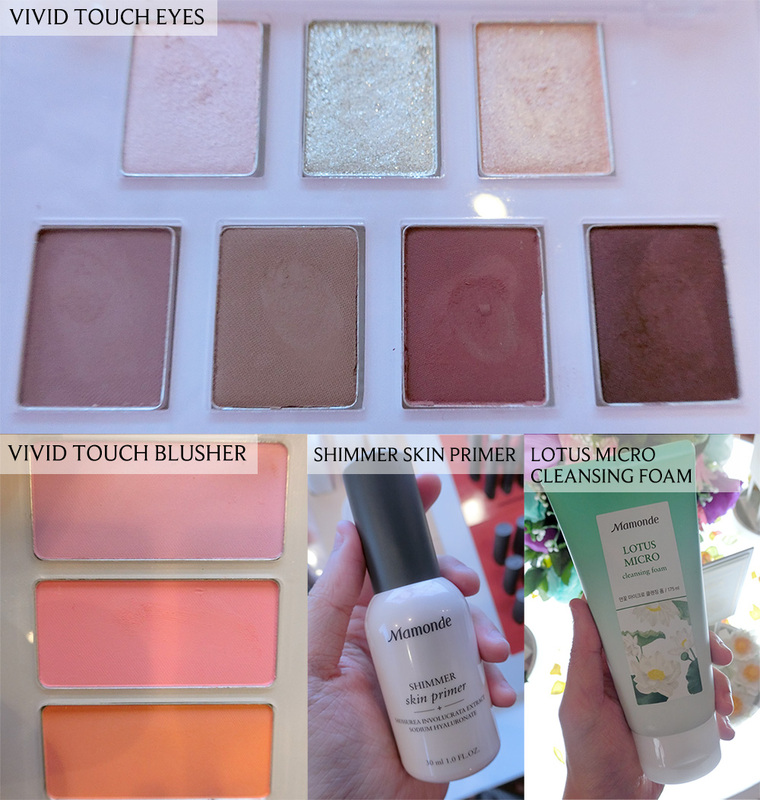 It has the matte finished Vivid Touch Blusher, Shimmer Skin Primer, Lotus Micros Cleansing Foam and Vivid Touch Eyes Shadow. These eye shadows are pretty. The colors are so vibrant and long tasting too. I need not to explain much of the prettiness for all these shimmery eye shadows, you can look at the images to see how beautiful they are. 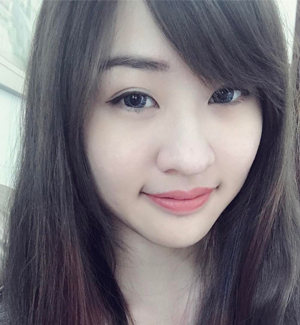 P/S: My favourite one is Cotton Bloom which is perfect for natural makeup look). Here's another interesting cosmetic: Pang Pang Hair Shadow. So, what it does is to fill up the gap for M hairline users and creates a U hairline. It works similar as an eye brow powder, but this hair shadow is to fill up the gap for your hairline. The puff is included with the hair shadow powder, allows you to stamp the the hair shadow along sparse spots on the hairline. 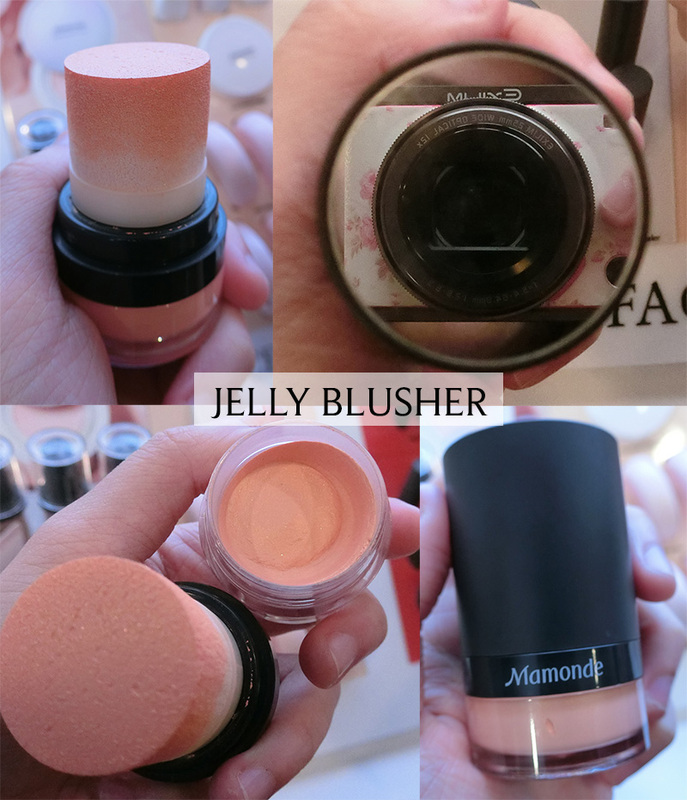 Jelly Blusher! A very interesting blusher that combines sponge applicator and mirror into one small packaging. It is a cream based blusher, and you may need a few dabs to get a visible shade on your cheek. The blusher has some shimmers, which helps to brighten up your makeup look. Lip balm with colors, that's how I named them. If you are looking for vibrant shades with long lasting moisturizing effect on the lips, you can try on these. 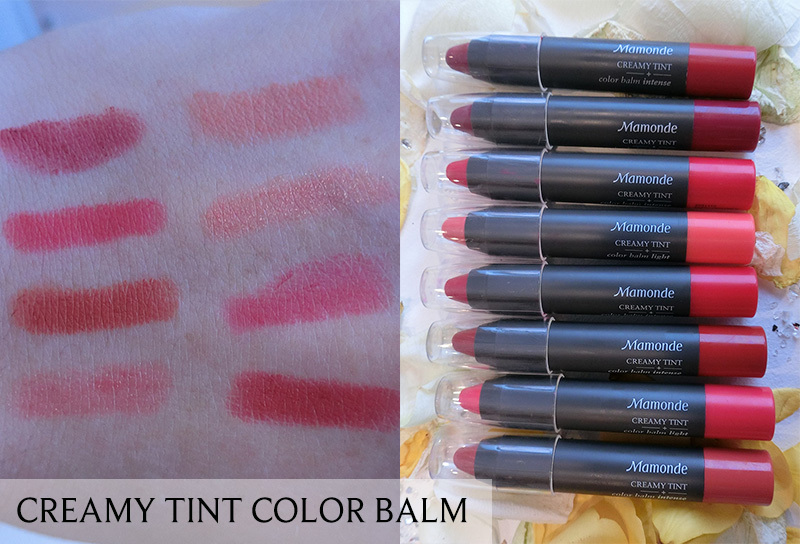 The texture is slightly creamy than usual lip balm, but it glides smoothly on the palm upon application. 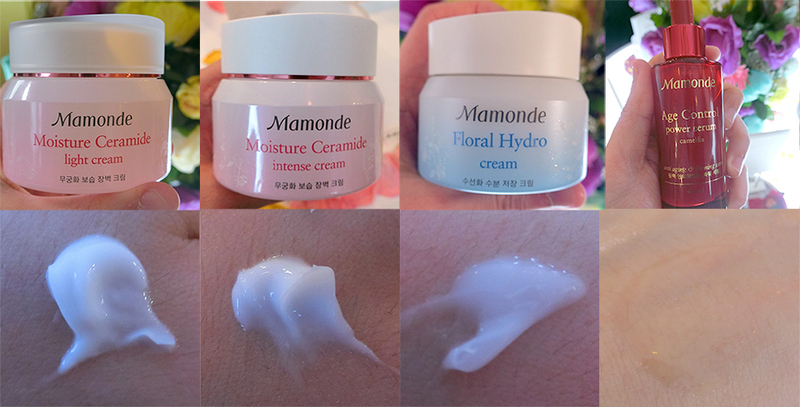 I can't wait for Mamonde to arrive on August so I can get my hands on getting these awesome products. I'm keen on getting the moisturizers and the skin primer, both of them look promising with positive feedback from some bloggers too. That's all for today, ending my post with a picture of me and le friends at the launch preview.